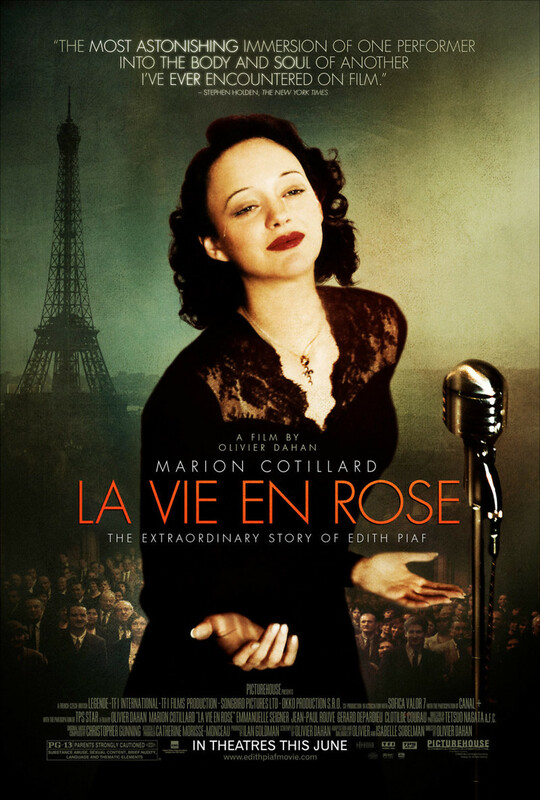 The difficult life of legendary French singer Edith Piaf is brought to light. We first see Edith as a young girl who is adopted by the women of a brothel, one of the only truly happy periods of her life. By the time she is a young adult, her musical talent is discovered and she begins to perform publicly, but the life of a singer comes with many trials. Her life is presented in a non-linear fashion as she recalls its highlights as a dying woman. One of her most famous songs proclaims her lack of regret, but hers has been a hard life marked by alcoholism, painful relationships and outright tragedy. Nonetheless, she carved out a niche for herself and will always be remembered.